December 8, 2011 -- When San Francisco-based hedge fund trader Chip Loutrel visits clients in Hong Kong, his hotel room is converted to an office for two weeks. There are three large computer monitors, extra phone lines and a Bloomberg data terminal linked to his laptop so he can execute "arbitraged straddles" of $5 million to $10 million each. Which hotel does he prefer? Which goes to such extraordinary lengths to meet his needs? None of the usual suspects. Instead, the contrarian investor checks into a large, minimalist room in the calm, contemporary, clutter-free Upper House on Hong Kong Island. Perched atop a tower in the Pacific Place complex that also includes offices, a shopping mall and three other hotels, the 117-room Upper House was formerly a posh apartment building that went bust and was converted into an almost Zen-like temple of serenity. "It's more like a luxury residence on the water--quiet, understated--but with very responsive hotel services," says Loutrel. "Breakfast in the top-floor restaurant with that harbor view really starts your day off right." Occupying the 38th to 49th floors of a tower that also houses the 577-room JW Marriott, the Upper House feels more like a spiritual retreat than a commercial hotel. There are no ballroom, no meeting rooms, no business center, no phalanx of dining rooms, no spa and no front desk. Although the hotel itself is atop a high-rise, check-in is on the ground floor. You walk through two tall solid wooden doors and into a small, Spartan lobby called The Arrival. A compact counter is staffed with smiling young people dressed in black and gray. Each guest is greeted by a family-like group of three or four staffers. They verify your reservation, sign you in via an iPad and dispatch your bags to your room. From the lobby, you take an escalator and arrive at another landing called Level 6. The last thing you expect to see on the sixth floor of a vertical Hong Kong hotel is a spacious outdoor terrace. But the Upper House has wide stairs lit by copper candle lanterns leading outside to The Lawn, described as an "outdoor secret garden." But don't expect orchids and Birds of Paradise. This is an urban garden with plush green grass and an open-air view of the Hong Kong skyline. Seating is discreetly spread out and food from the hotel's restaurant and drinks from a portable bar are served from mid-morning through the evening. It's a pleasant place to haggle about a contract or celebrate a deal. Yet the real surprise at Upper House are the guestrooms. The hotel is described as a "boutique," so I was expecting something compact. But even the smallest ones are huge--accommodations start at 730 square feet--and neither look nor feel like a hotel room. Think Frank Lloyd Wright circa 2011. Most of the walls are windows with sweeping views--and, thankfully, electronically controlled drapes. Table surfaces range from blond to charcoal-gray woods and they are paired with sleek sofas and chairs upholstered in a variety of soft creams, tans, light purples, greens, grays and blacks. For hard-core road warriors most familiar with chain hotels, the rooms at Upper House require some adjustment. Instead of a desk, you work (and presumably eat room service meals) at a circular dining room table with two upholstered chairs. The Internet access is free throughout the hotel. Rooms and suites have 42-inch televisions with video-on-demand in all sleeping and sitting areas. But one "convenience" was simply too high-tech for me. Instead of paper-based in-room dining menus and service directories, the Upper House has programmed all that data and more into an iPod. It was digitally Greek to me. Still, hotel staffers were quick to respond to my cries for help. After an in-room tutorial or two, I was online and working pronto. Upper House has trumped the city's other marquee hotels with what it claims are the city's largest bathrooms--400-square feet--in every accommodation. Actually, bathrooms are two-room suites. One room is for the sink, vanity and toilet. The other room has a rainforest shower and a Victorian-styled claw foot tub plus, of course, a flat-screen television. My bath also had a wall of windows that faced directly into a high-rise office building but, after some searching, I found a switch that drew the shades electronically for privacy. Bottom line: The hotel may not have a spa, but the stylish loo, complete with an optional in-room massage, is a good second choice. Hong Kong's powerful Swire Group, which owns the Upper House and Pacific Place, has given the 49th floor of the hotel two separate personalities. Part of the top floor is given over to a library-quiet Lobby Lounge complete with a gas fireplace, modern art, sculptures, sofas and desks. A concierge stationed there was quite helpful in deciphering the maze of walkways and stores underneath Pacific Place. The rest of the 49th floor is dedicated to the hungry and the hedonistic. A "skywalk" lined with large candles connects the Lobby Lounge to a reception desk and the entry to the Michelin-starred Caf� Gray Deluxe; the Skybar Lounge; and the Caf� Gray Bar, where the "plank" is a 46-foot-long slab of granite. This part of the top floor is where the Upper House sheds its monks' robes. General Manager Dean Winter clearly caters to the local power crowd and worldly travelers alike. The Caf� is packed at all three meals and the bar and lounge fills up long before the sun sets. 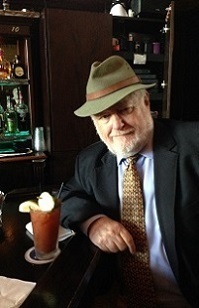 Miles, a local banker, and his friend, Linda, a corporate lawyer, were sipping Champagne when I joined them. "Among all the great hotels in Hong Kong," he said, "this bar is romantic, has the greatest views plus a sense of energy and style." Nick Stokes, a financial executive, had a similar view. "Hong Kong has always needed a sophisticated, cool and non-touristy bar. This one has a fantastic vibe. A lot of us are wising up to the fact that these boutique hotels are more in tune with the market and more in line with what makes people feel like part of the experience. It's not just a room and a bed anymore." 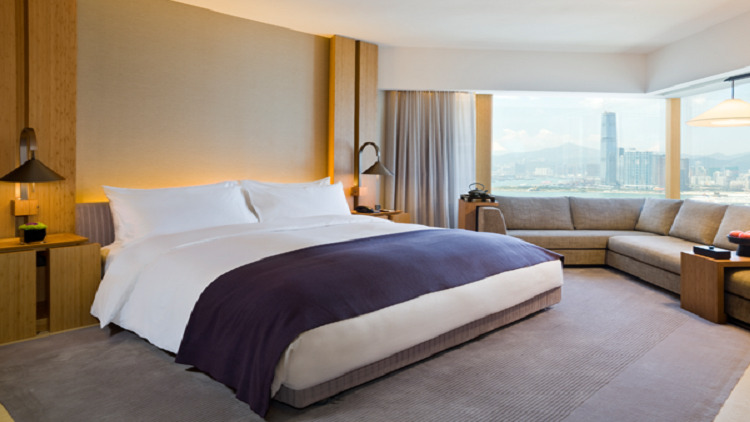 Upper House is now universally considered the finest lodging in Hong Kong. It holds the Number 1 position at TripAdvisor and all but 200 of the 2,900 reviews rate it 5.0. Forbes.com calls it the "epitome of lofty understatement." Caf� Grey Deluxe is one of Hong Kong's premier dining rooms and is rated Number 10 of more than 10,500 Hong Kong restaurants.